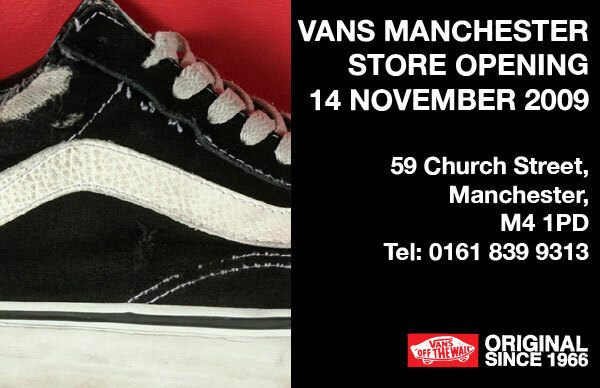 Vans are opening a flagship store in Manchester this Saturday (14th November). Get down to the store on the opening day to receive free waffles (the food, not sneaks) and catch a live acoustic set from Failsafe. There will also be 10% off everything in store for the opening day only. If you can’t reach that, or you want even more, then hit the after party at Moho Live from 6pm – 9pm.